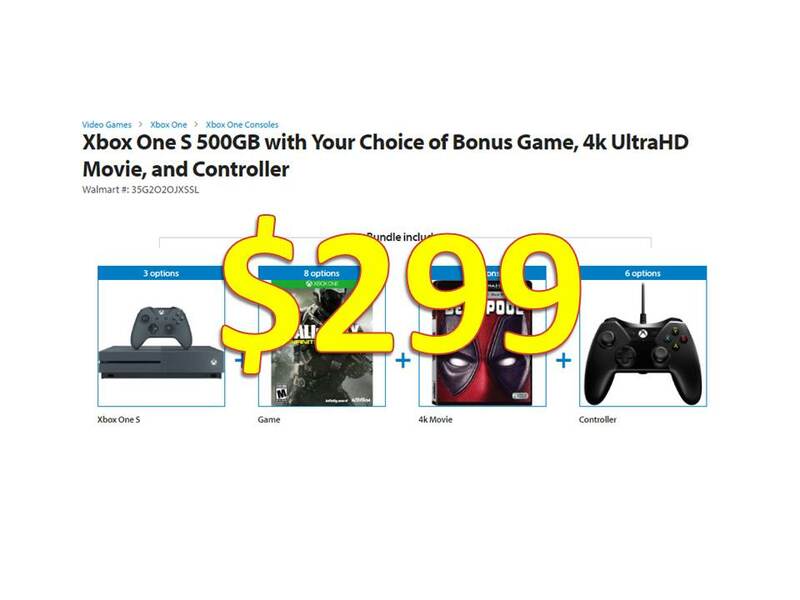 You are at:Home»BUZZ»Xbox One S + Game + 4K Movie + Controller for $299! Walmart is stepping up their pre-Black Friday deals by offering an awesome Xbox One S bundle for $299! The regular price of the Xbox One S 500GB console is $299 – so basically, you’re getting a free game, movie and a controller. 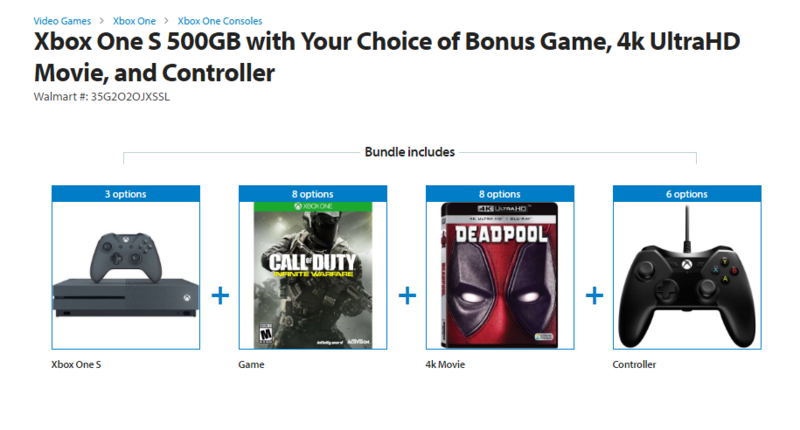 Walmart does offer upgrades for the official Xbox controller, and different choices of movies, but that will increase your balance over the $300 mark. Note: Options may differ based on availability. For the console, you have different options: the Battlefield 1 edition bundle, you can even splurge for the Minecraft edition for $0.01 more. For the controller, the free option is a wired controller by a 3rd party (PowerA) available in black or white. You can add the official wireless controller in white or black for $48.99, special edition for $53.99 or the elite for $138.99. What do you think of this deal? Ready for Black Friday? Follow us on Twitter! Check out the Walmart Xbox One S bundle!